This exhibition is the first to concentrate on the series of Ice Cut paintings by the Vermont-based artist Eric Aho. The series is inspired by the hole cut in the ice in front of Finnish saunas, an aspect of Finnish culture that Aho’s family has maintained and enjoys each Sunday throughout the year. Intended for an icy immersion following the heat of the sauna, the "avanto," as it is called in Finnish, underscores and personalizes the inherent contrasts in nature. 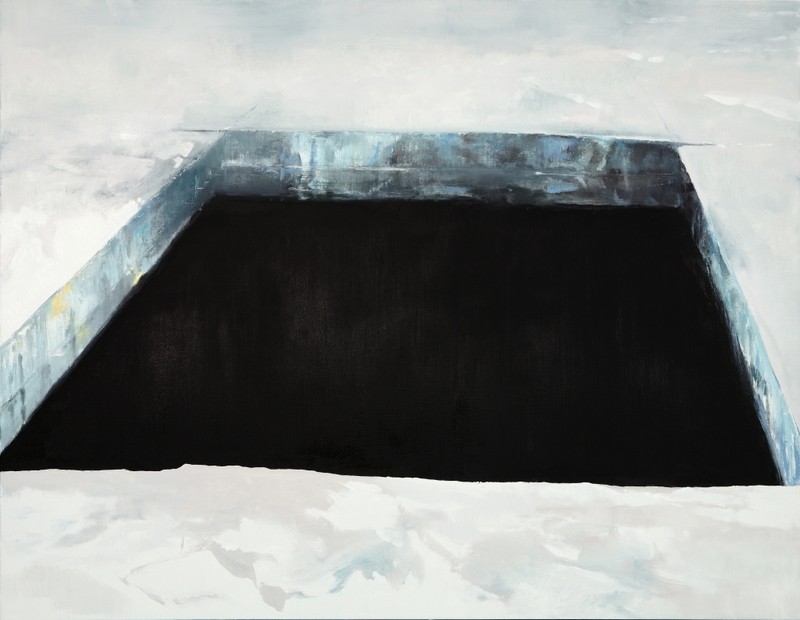 Aho began the Ice Cut series nine years ago, making one painting a year of the dark void created by the act of sawing into the thick ice. The central abstract form in these compositions provides the structure for Aho's experimentation with paint texture, surface, and subtly nuanced color, giving these frozen scenes a sense of both austere beauty and vibrant life. Aho states: "These works have led me to wonder how a single painted image can mediate an equivalent level of tension and sensation present in an individual's relationship to the physical world."